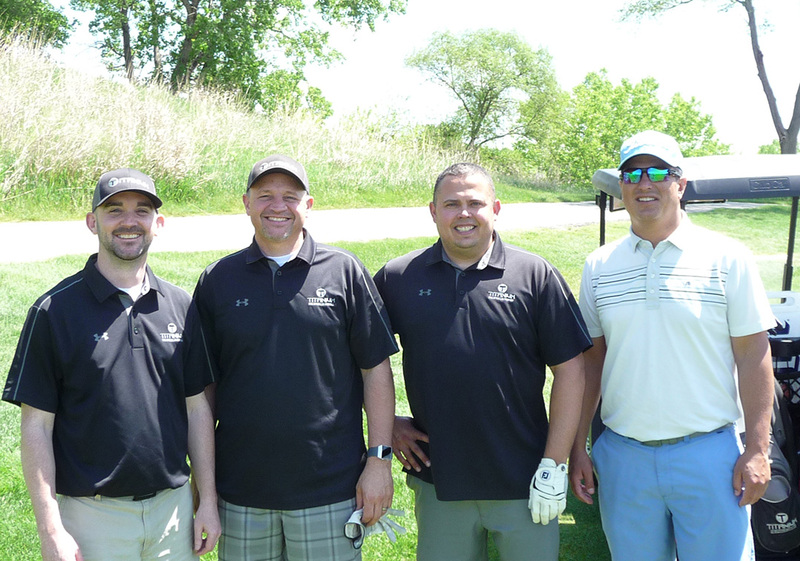 We had great weather and a great turnout for this year's golf outing! Thanks to everyone who played, bought mulligans and the 300-yard drive passes. 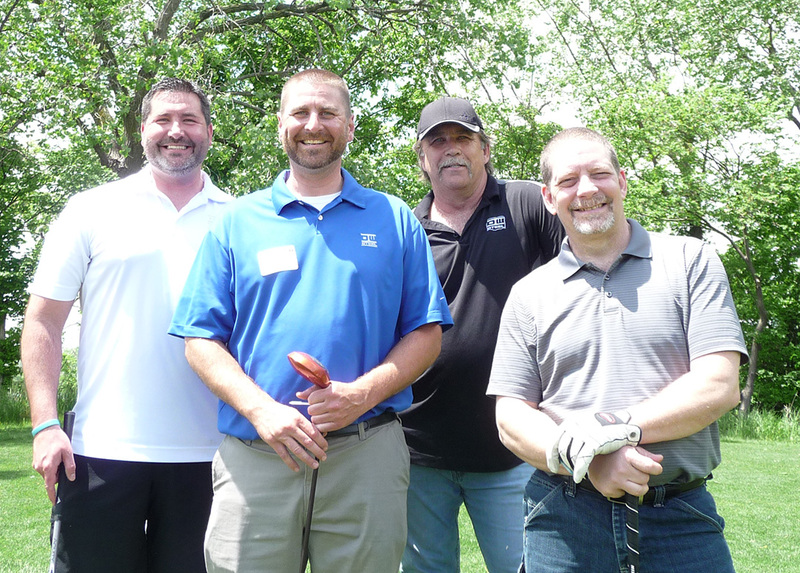 Mark your calendars now for next year's outing--May 20, 2019--Quarry Oaks Golf Club in Ashland. 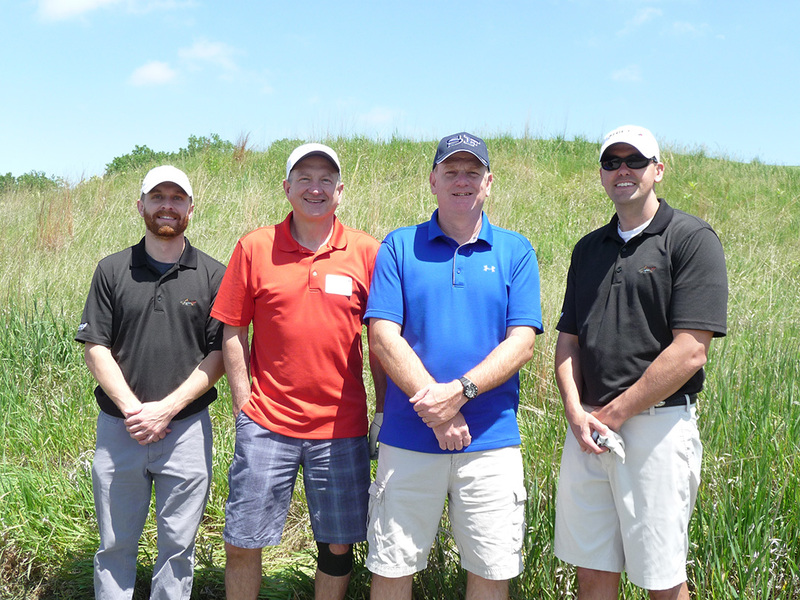 Thank you also to this year's golf outing sponsors, we really appreciate your support! Click here to view a complete list of sponsors. 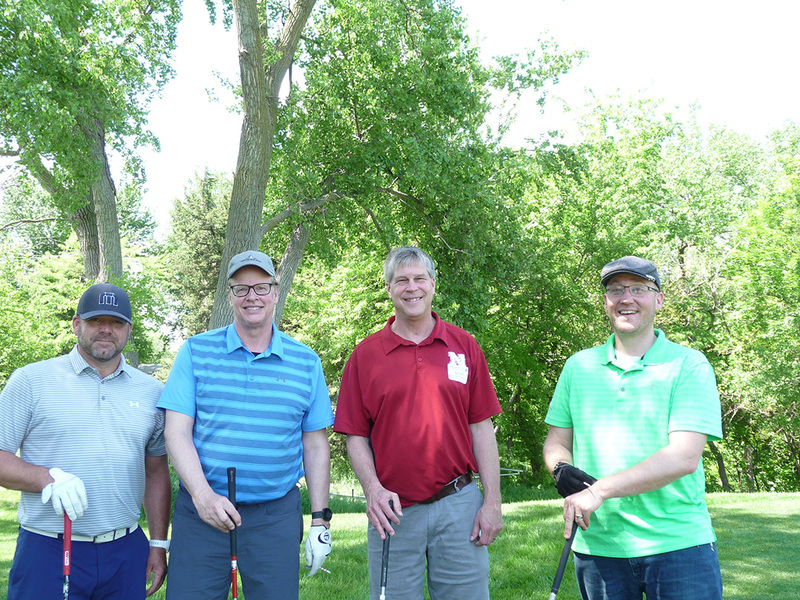 Jake Buss, John Kampfe, Bill Kraijcek, and Tom King. 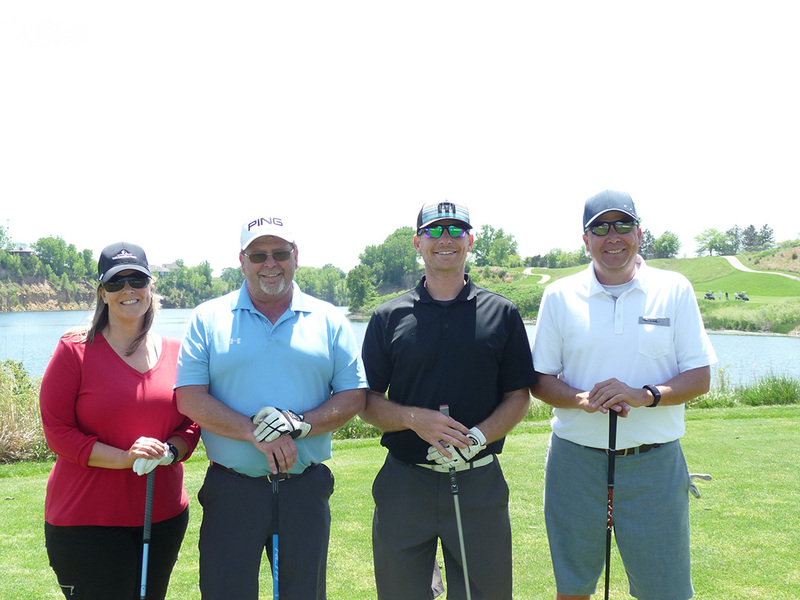 Tom was the winner of the Flag Prizes on Hole #2--closest to the pin with the first shot and Hole #17--closest to aiming pole with the first shot. Thank you--Bill, Todd, Jesse, and Bill!! Thank you--Dustin, Joe and Dan!! 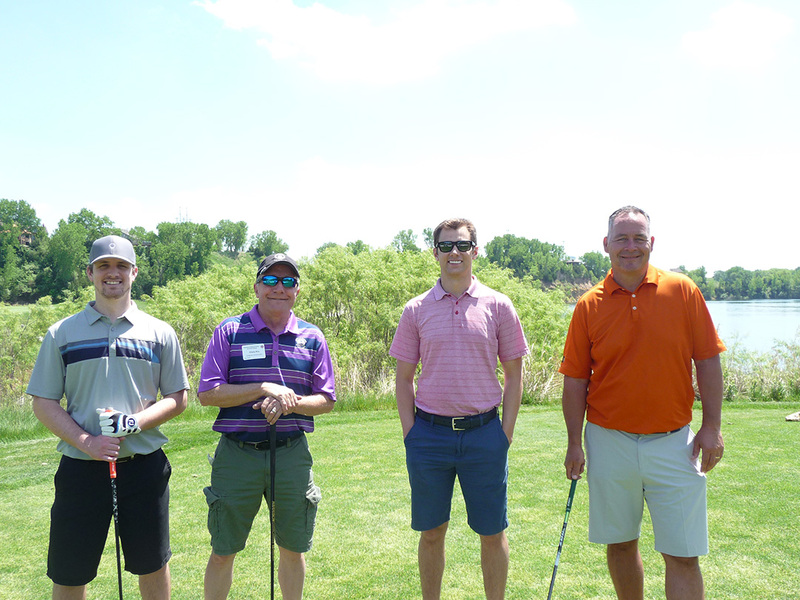 Team #14 Bill Reineke, Bob Jones, Walt Hagen, and Kelly Malone. Team #22 Mark Jaworski, Kevin Turner, Nick Hebrew, and Ron Pettit. 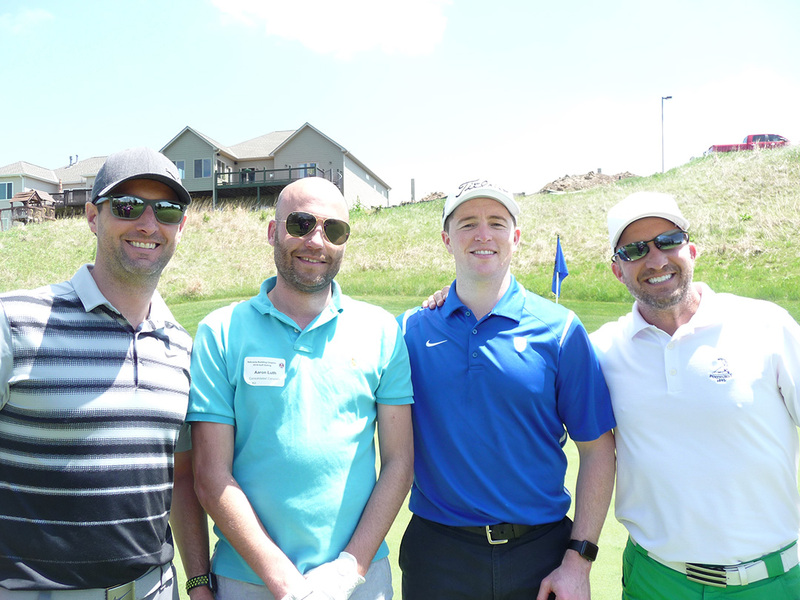 Nick was also the winner of the Flag Prizes on Hole #5--closest to the pin with first shot wins $500 and Hole #10--longest putt made from on the green. Ron was the winner of the Flag Prize on Hole #9--longest putt made from on the green. Team #33 Chad Jensen, Bryce Ryder, Dan Heffernan, and TJ Morello. 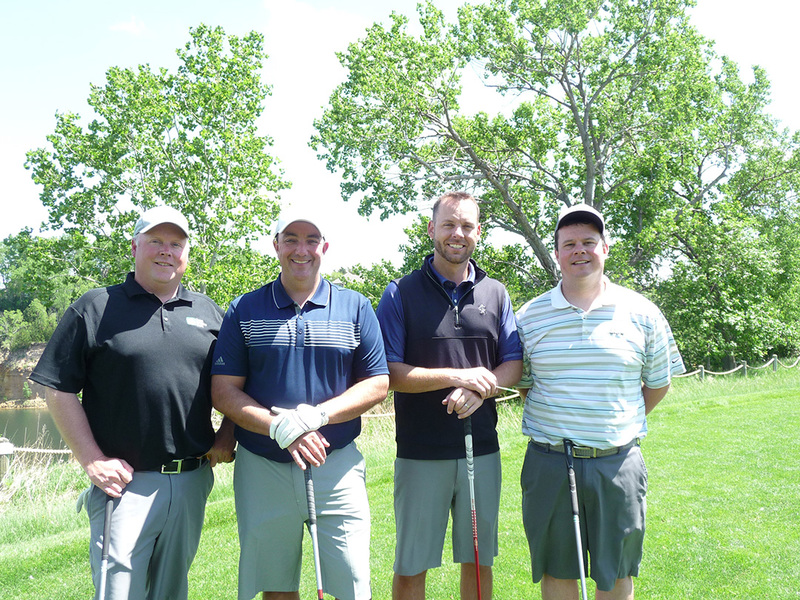 Team #11 Alan Gilmore, Ben Fink, Jan Beran and Jeff Meyerink. 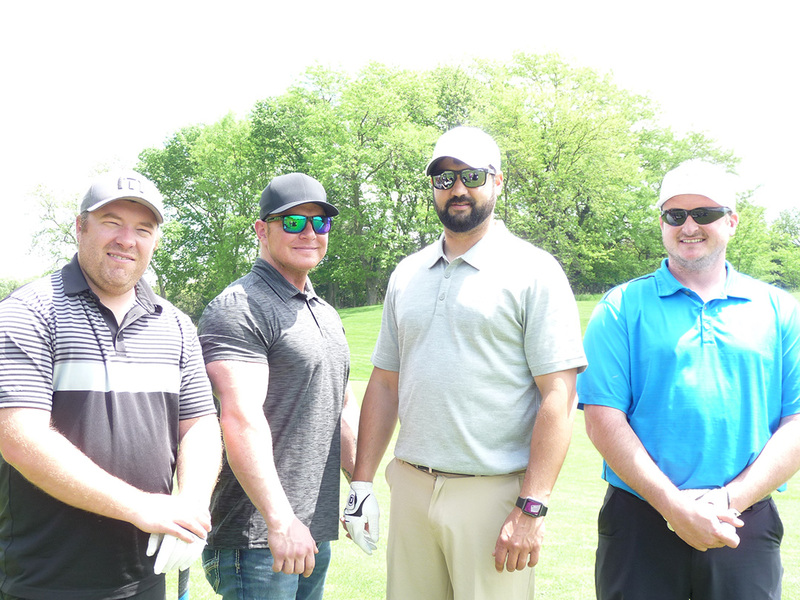 Jeff was also the winner of the Flag Prizes on Hole #3--longest drive in the fairway for men and Hole #11--closest to the pin with the first shot. 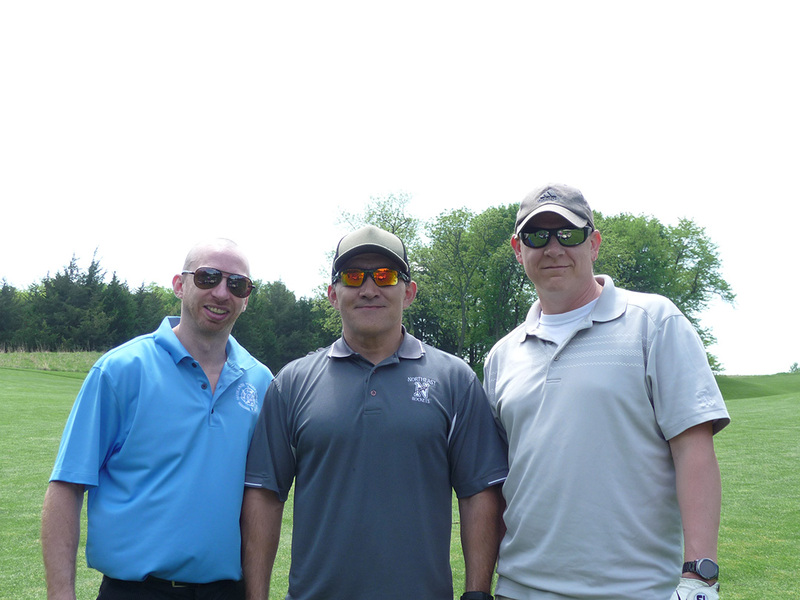 Alan was the winner of the Flag Prize on Hole #15--closest to the pin with the first shot. 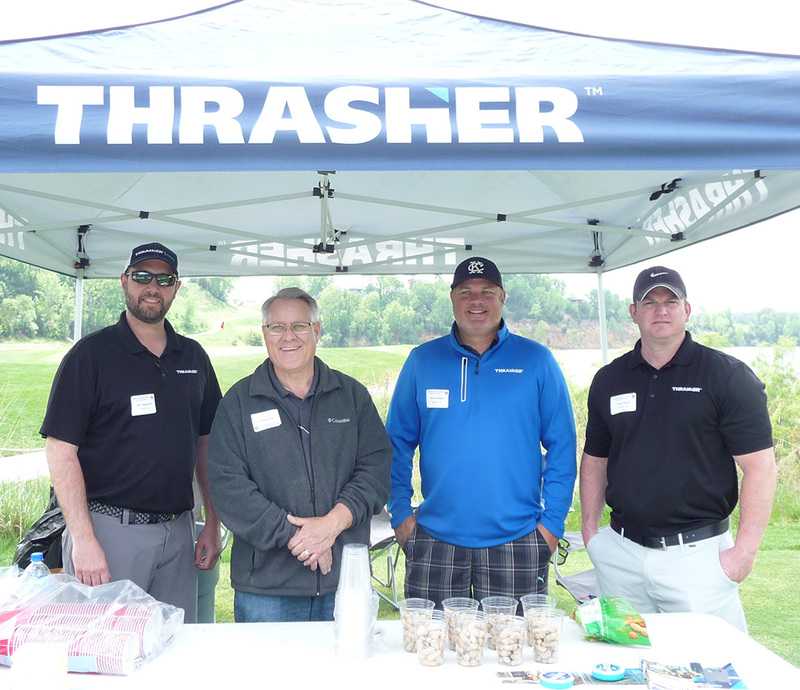 The fourth team to complete 18-holes and turn their score card into the pro shop desk. 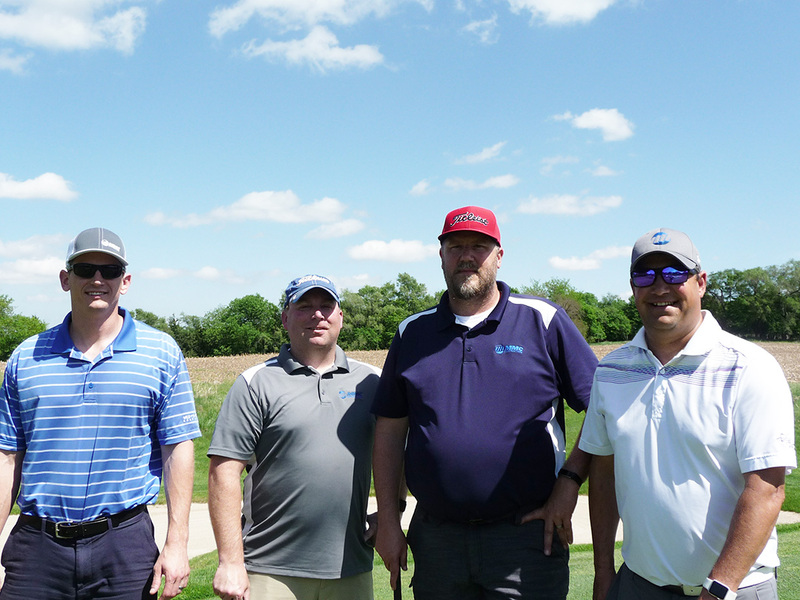 Team #4 Tracy Mumford, Rob Stargel, Steve Skala, and Randy McDonald. The sixth team to complete 18-holes and turn their score card into the pro shop desk. 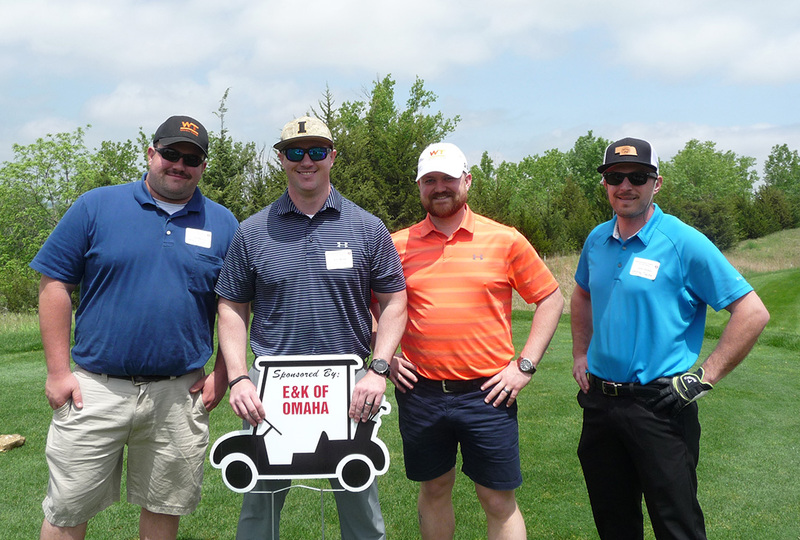 Team #6 Mike Thomsen, Alan Walters, Justin Crawford, and Mark Shockley. 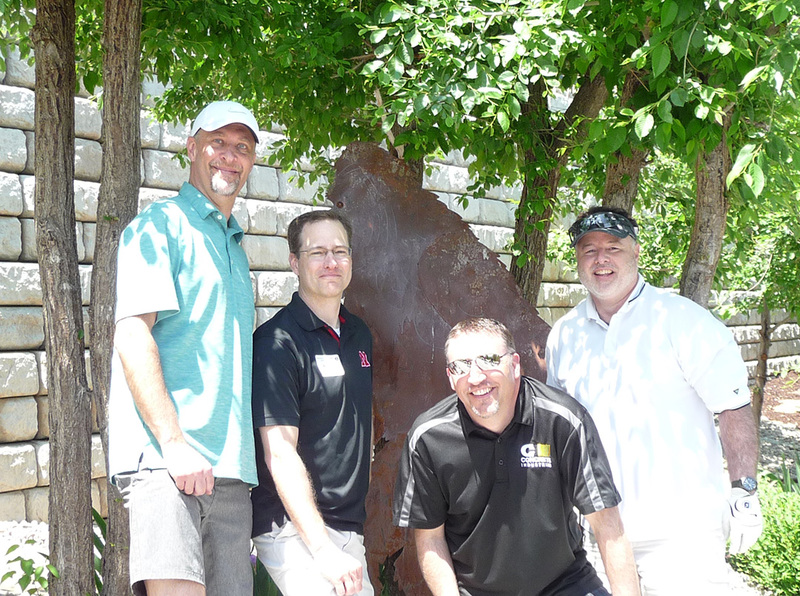 Ben Berry, Dave Lockridge, Rod Teten, and Joel Barrow. 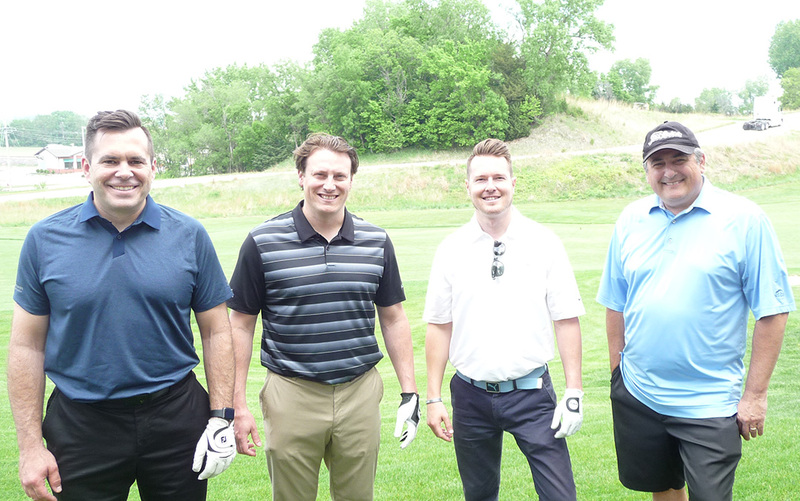 Kurtis Rathman, Jamie Lierman, Scott Dwyer, and James Boesen. 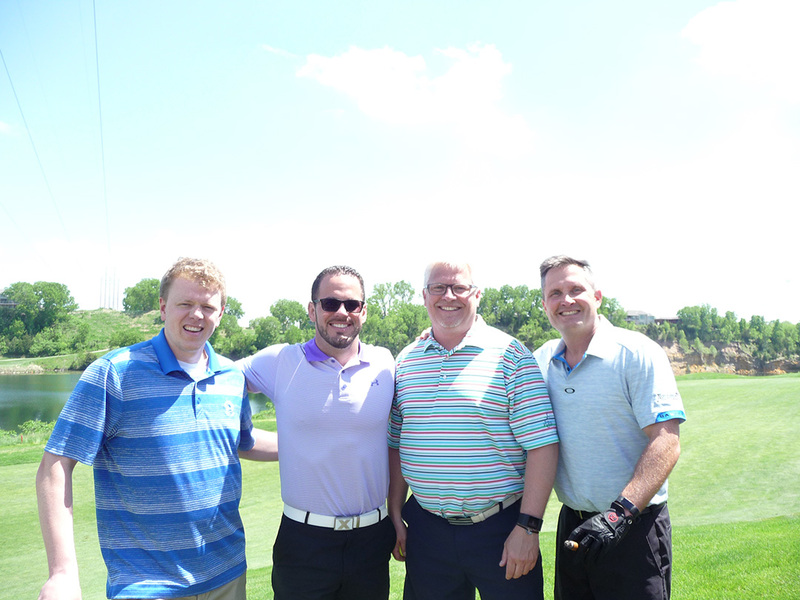 Jamie was the winner of the Flag Prize on Hole #18--longest drive in the fairway for men. 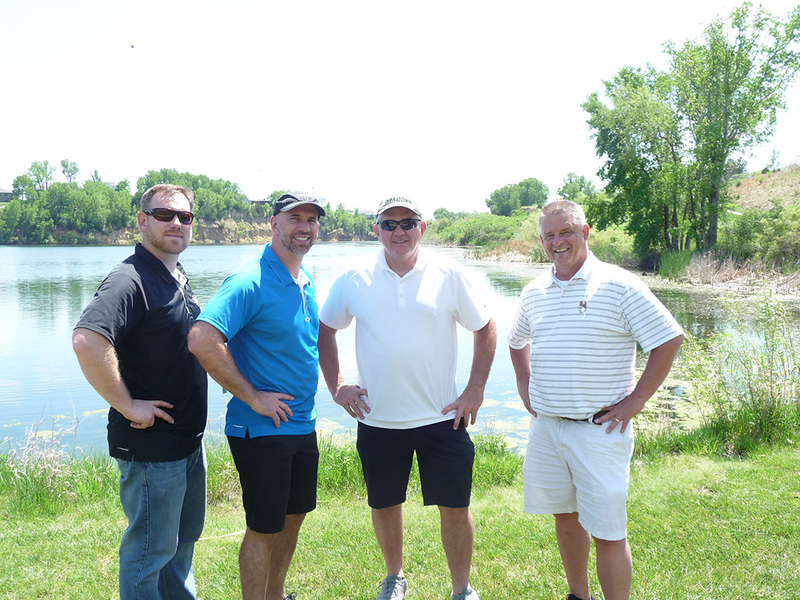 Lance Parker, John Falewitch, Gary Leapley, and Paul Beller. Steve Gustwiller, Aaron Hill, Michael Harrison, and Steve Willey. 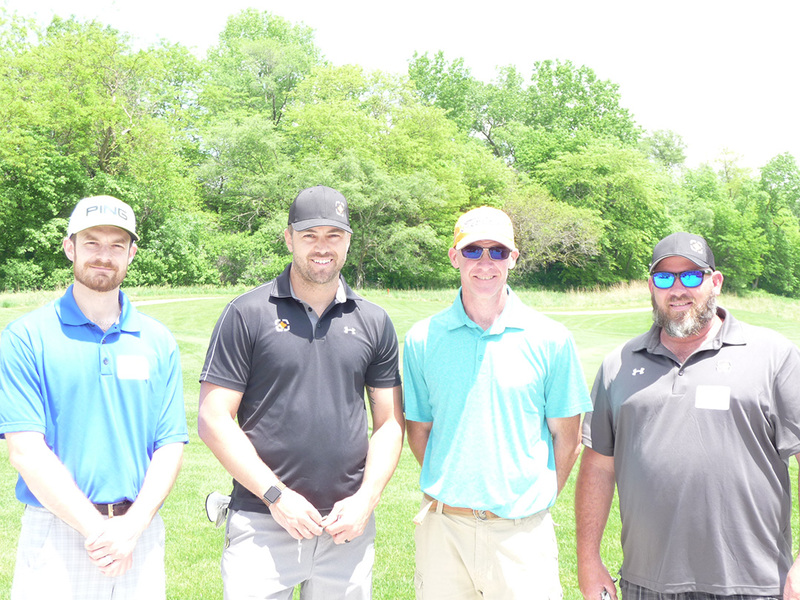 Brett Alber, Justin Hall, Justin Hart, and Tony Kjar. 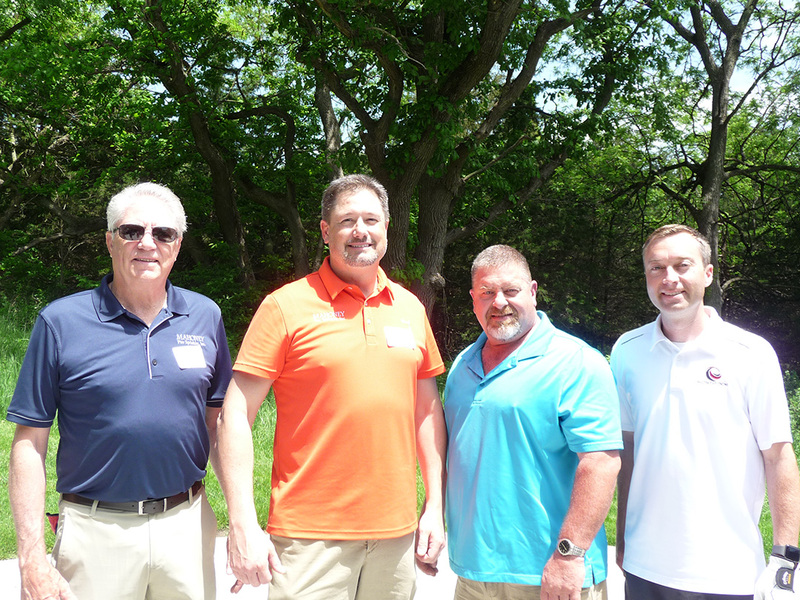 Chris Kingery, Larry Younger, Duane Kumpula, and Gary Honnens. 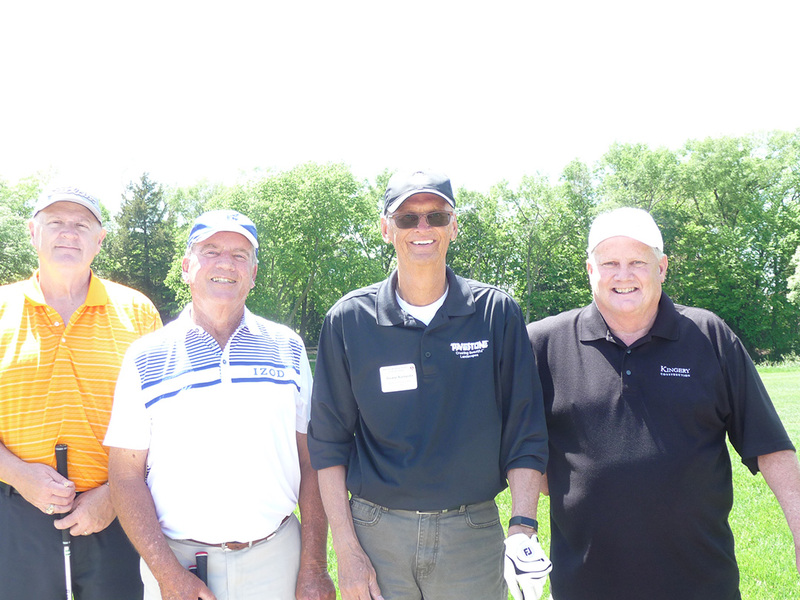 Terry Carlson, Bruce Kumpula, Mike Arps, and John Gilmore. 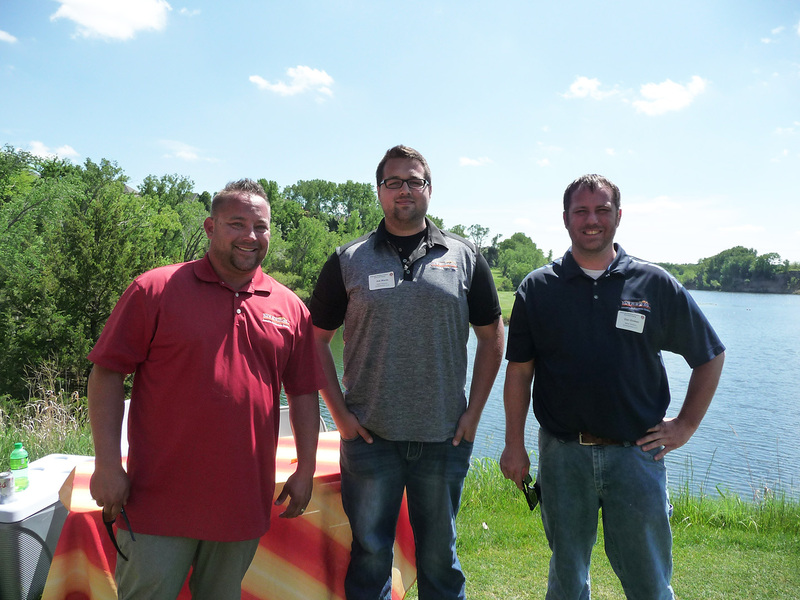 Dave Bougger, Chad Westphalen, and Kurt Sander. 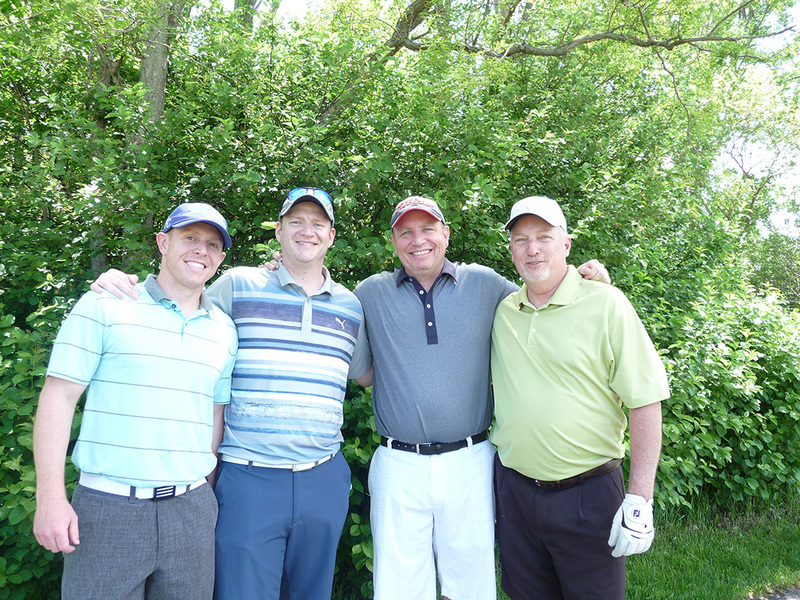 Dave was the winner of the Flag Prize on Hole #7--closest to the pin with the second shot. 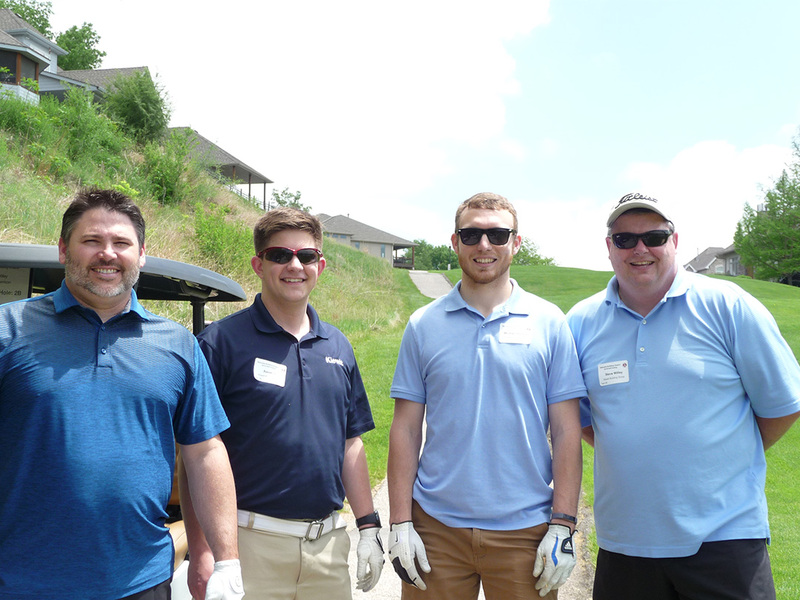 Matt Corbitt, Neil Davidson, Chris Grojean, and Josh Bridges. Dustin Cooper, Alec Brown, Brett Lundin, and Kevin Stenger. Alec was the winner of the Flag Prize on Hole #4--closest to the pin with the second shot. 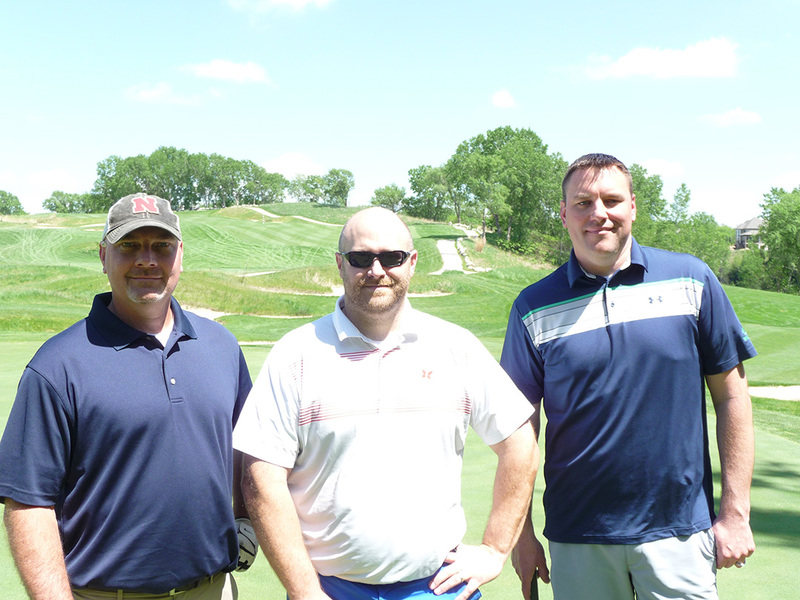 Dustin was the winner of the Flag Prize on Hole #8--closest to the pin with the third shot. 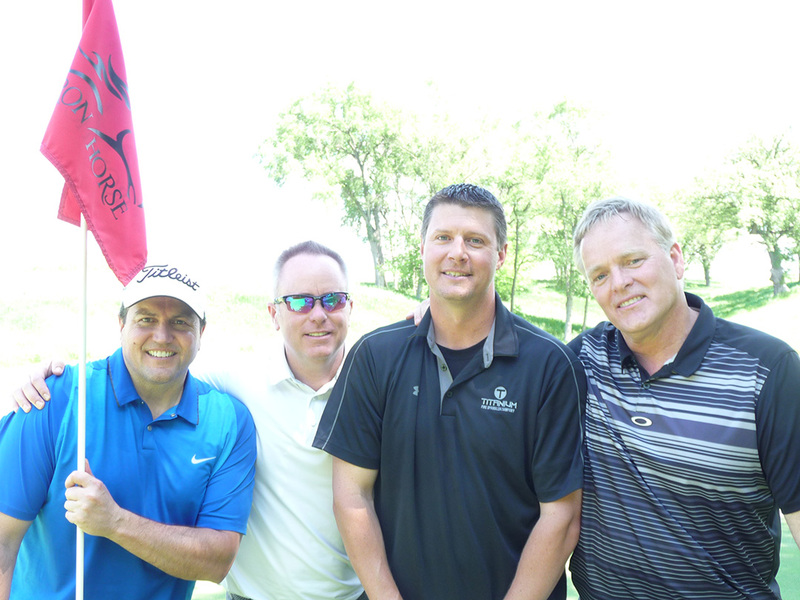 Brett was the winner of the Flag Prize on Hole #16--longest putt made from the green. Chris Pro, Jack Ballue, Chip Bryant, and Ford Singbush. 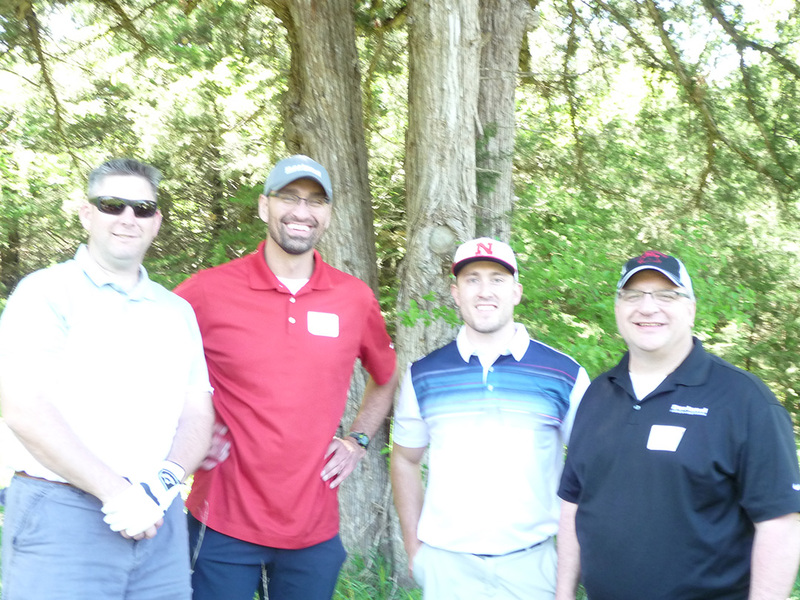 Linette Butler, Rick Pettit, Austin Larson, and Jeff Waggoner. 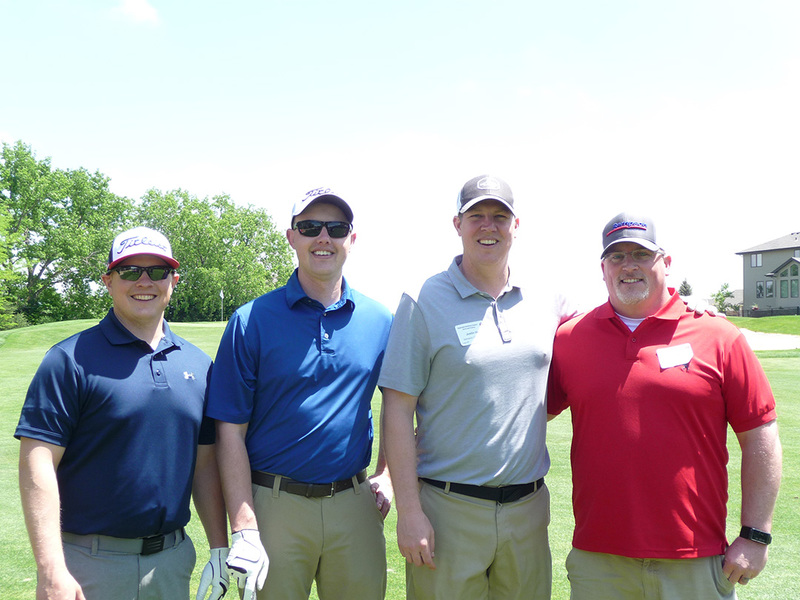 Kyle Huse, Lynn Johnson, Tyler Petersen, and Jim Fiala. Matt Cradick, Aaron Luth, Chase Bassett, and Andy Bassett. 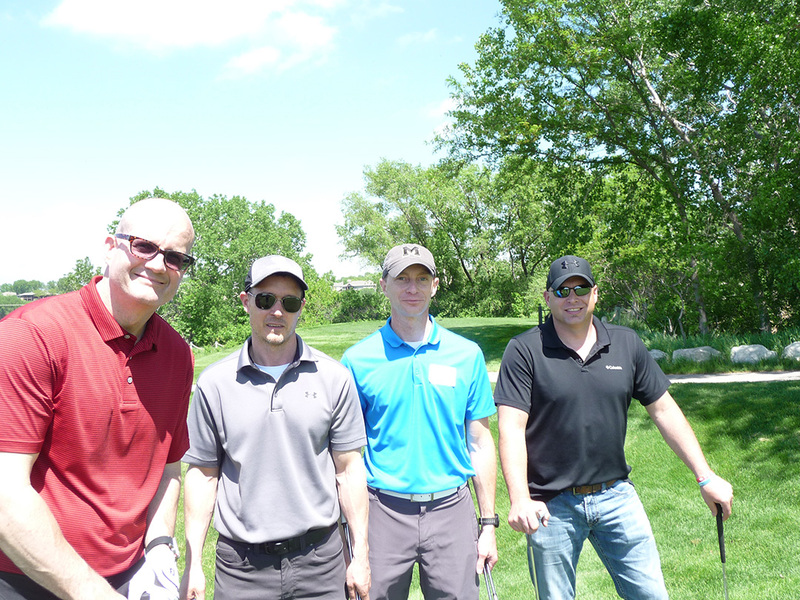 Alex Carritt, Cory Shiluto, Dusty Weeter, and Jeff Smith. 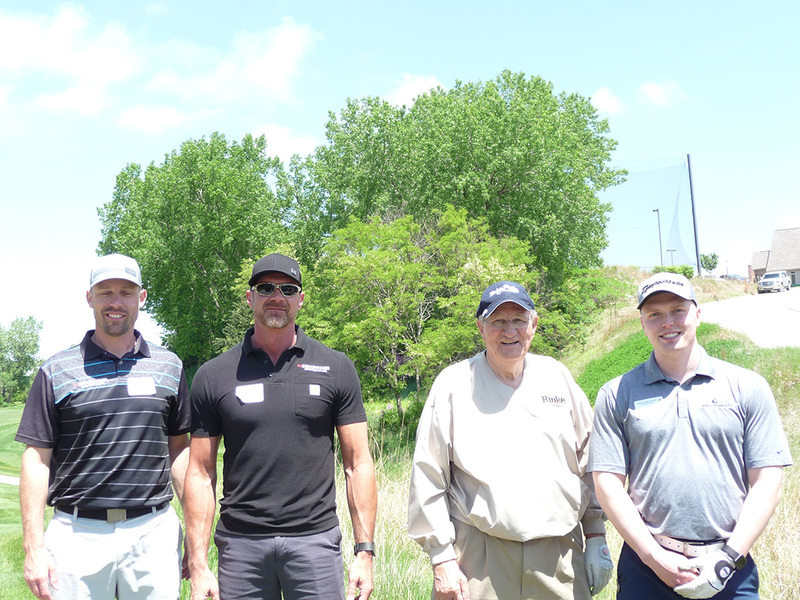 Bill Barritt, J Callahan, Bob Carlson, and Corey Guy. 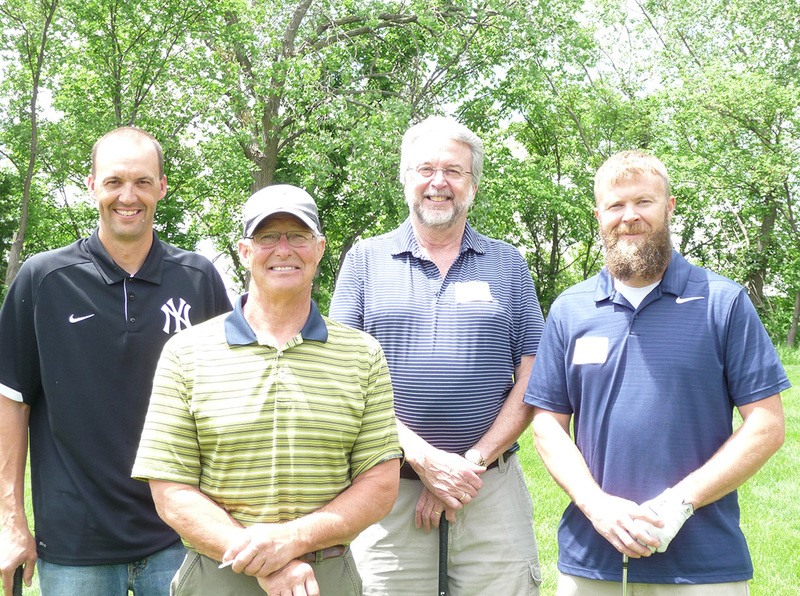 Casey Munn, Phil Zimmerman, Ron Siwa, and Curt Swahn. 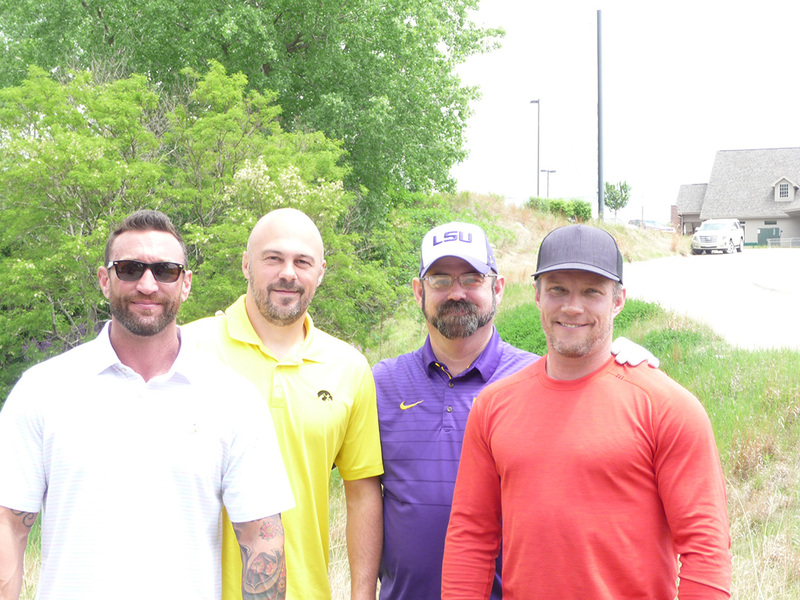 Todd Daly, Luke Francis, Adam Nielsen, and Jim League. Shane Sullivan, Josh Boesch, Alex Petrovich, and Fredrick LeRouge. Matt Pollard, Ashley Abramson, Kenny Thompson, and Rachel Glock. 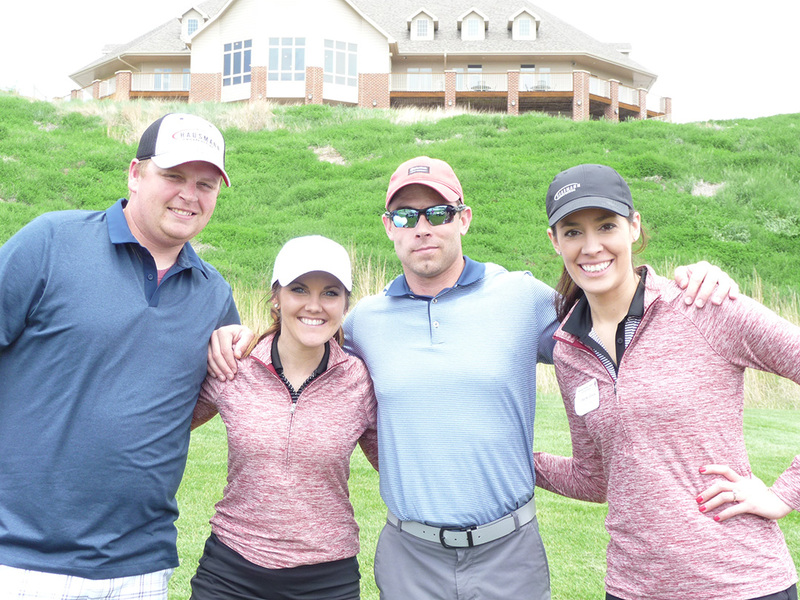 Ashley was the winner of the Flag Prize on Hole #12--longest drive in the fairway for women. 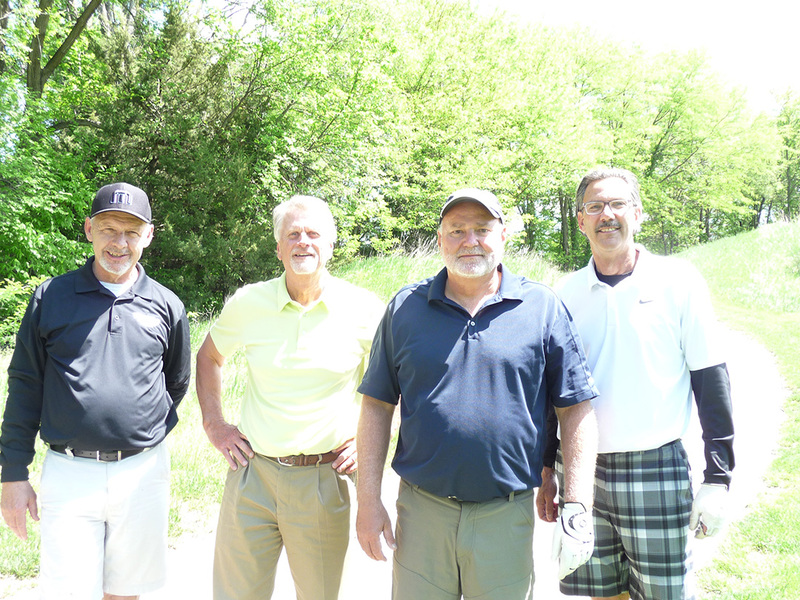 Nick McCaffery, Tom Bussey, Randy Rogge, and Pat Groeling. Beau Tripp, Jamie Davis, Jake Jackson, and Kevin Bailey. 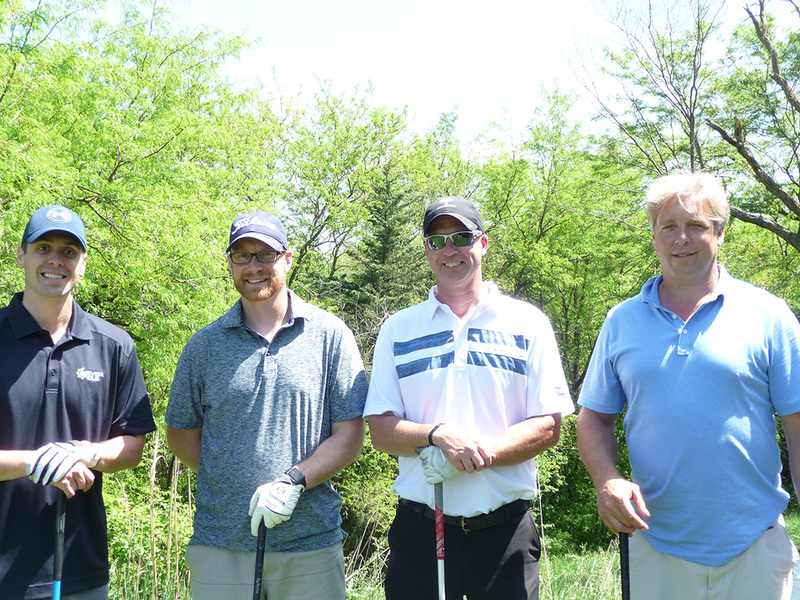 Kevin was the winner of the Flag Prize on Hole #14--closest to the pin with the second shot. 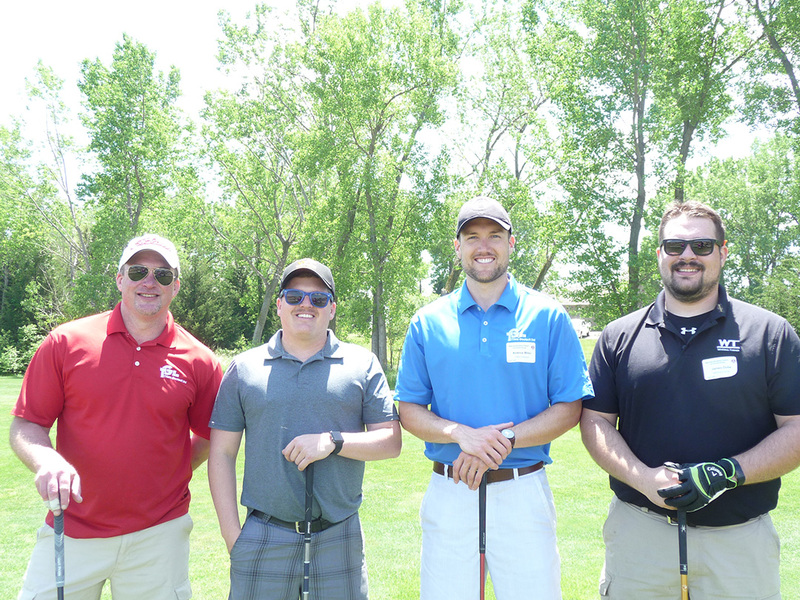 Dan Penny, Eric Boos, Jake Heskett, and John Ocken. Jake was the winner of the Flag Priz on Hole #1--closest to the pin with the second shot. 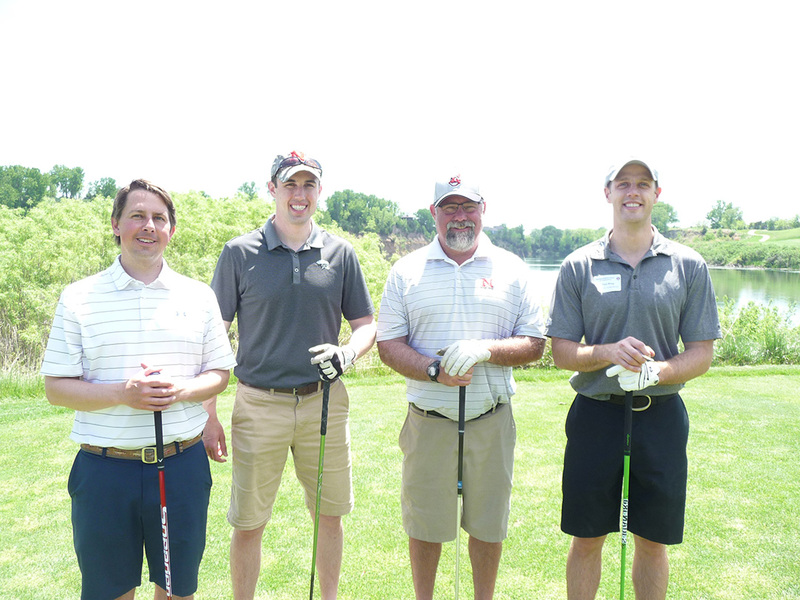 Bob Lapke, Matt Schulte, Andrew Miller, and James Dube. 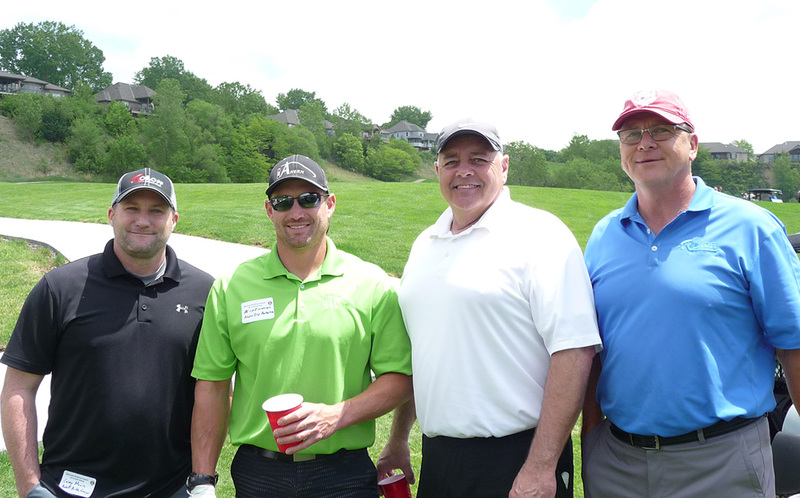 Bob Mahoney Sr., Bob Mahoney Jr., Eric Moroz, and Russ Cooper. 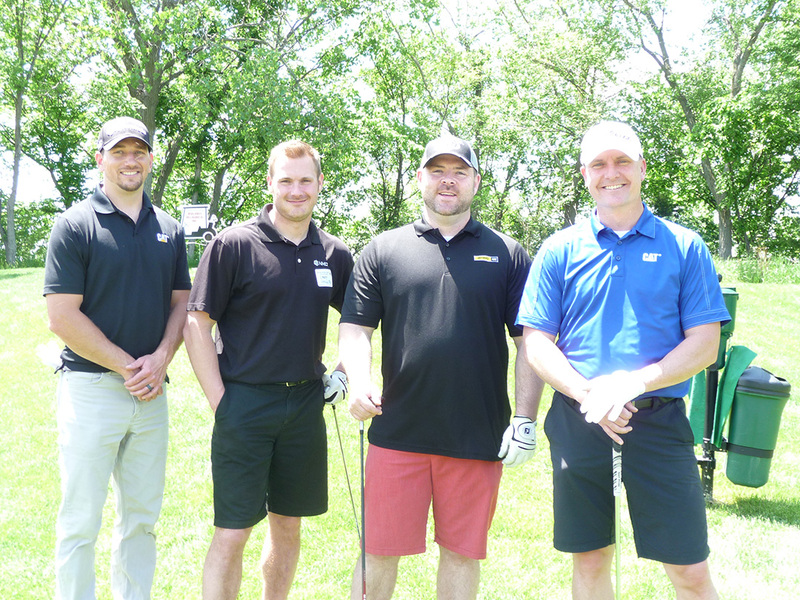 Cory Roth, Kevin Clark, Jaime Watson, and Randy Schultz. 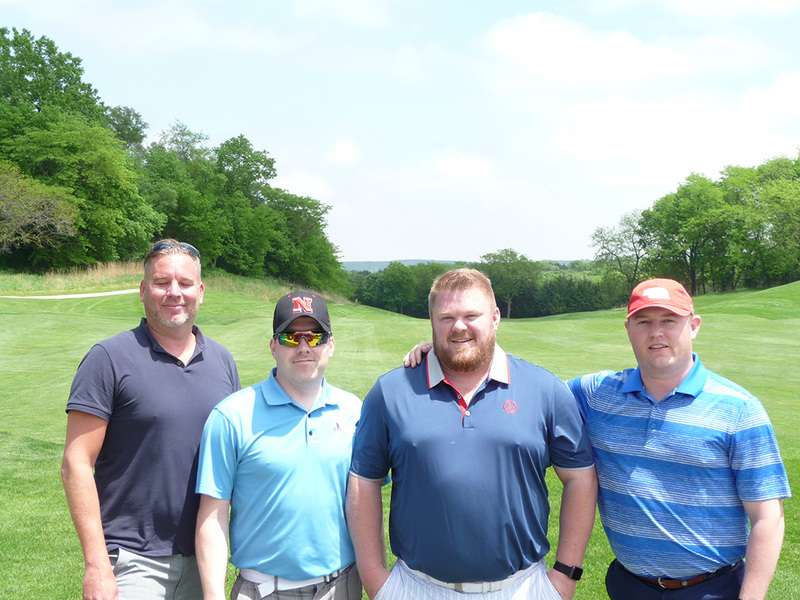 Dustin Klein, Derek Carey, Justin Esch, and Matt Andersen. Ryan Clevenger, Gil Balboa, and Josh Merchant. 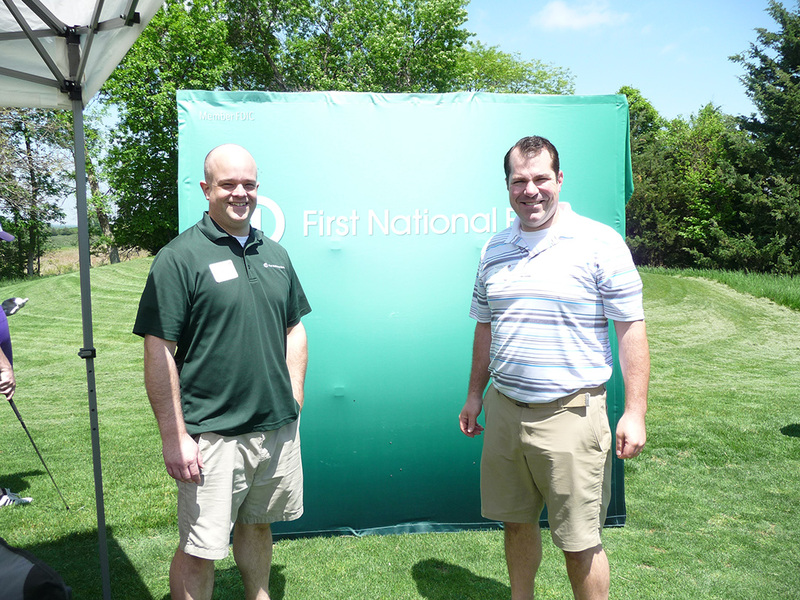 Josh was the winner of the Flag Prize on Hole #6--longest putt made from on the green.